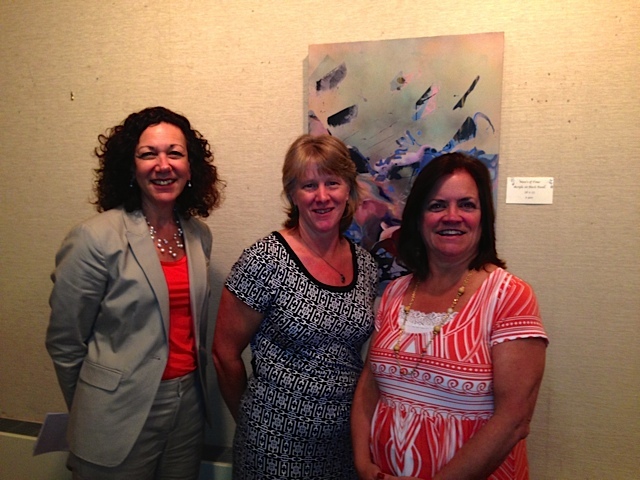 Three Berkshire United Way Birth-Third Leaders (from left): Nancy Stoll (Director of Community Engagement and Evaluation), Karen Vogel (Early Childhood Coordinator), and Kris Hazzard (President and CEO). Berkshire County has established a governance structure, a strategic plan, and a network of working groups to drive and coordinate these Birth-Third activities. The Berkshire United Way serves as the “backbone organization” of the partnership, leading, coordinating, and staffing the work. The MA EEC Alignment Partnership grant supports Berkshire United Way in organizing these activities, in particular through the person of its Coordinator of Early Childhood, Karen Vogel. Over the past year, Berkshire United Way has participated in a five-city network led by Strategies for Children and Harvard professor Nonie Lesaux. Influenced by this experience, Berkshire United Way’s Birth-Third leaders are increasingly focused on marshaling the community’s resources in a strategic fashion that will yield the most impact. This initial post on Pittsfield Promise’s efforts first describes the basic structure and scope of the Birth-Third work underway in Pittsfield, including the partnership’s recent evolution and reassessment of priorities. A subsequent post will trace the development of Pittsfield Promise’s institutional commitment to early learning and third-grade reading, to be followed by deeper investigations into on-the-ground implementation and practice. 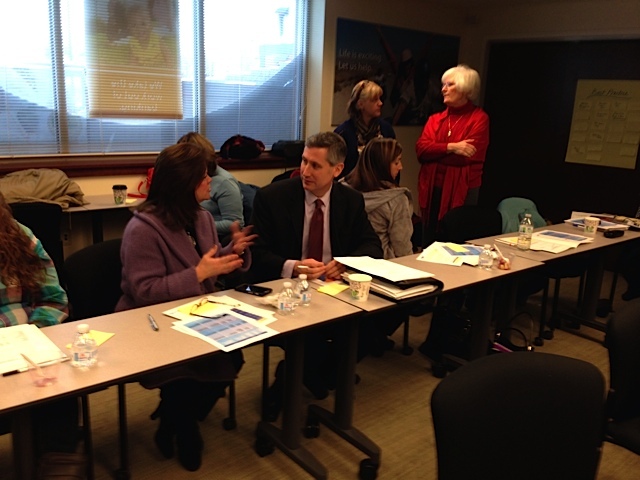 A recent meeting of the Early Childhood Think Tank serves as a good introduction to the work of the Pittsfield Promise. The Think Tank is a group of early childhood providers and partner organizations that has played an integral role in the Pittsfield Promise. The meeting began with a discussion of a marketing campaign in the city that would emphasize the importance of early childhood education and the critical role of families. The Think Tank has worked with the Pittsfield Promise communications committee to frame the appropriate messages, and Berkshire County Readiness Center Director Doug McNally was there to note how he could support the campaign through his monthly cable TV show. The Think Tank then discussed the goals of a State of the Young Child report that will present data regarding poverty and other risk factors in the county. 37.1% of Pittsfield children under five live in poverty, a percentage that is growing. The purpose of the report is to inform policymakers as well as provide a common framework of indicators that early childhood providers can draw on in order to send consistent messages to the broader community, including funders. Early Childhood Coordinator Karen Vogel (pen in hand) and other members of the Early Childhood Literacy Impact Council. The Think Tank then reviewed a PreK to K inventory list that Karen Vogel, the Coordinator of Early Childhood, had developed. This inventory integrates Massachusetts’ two kindergarten readiness tools, Work Sampling and Teaching Strategies Gold, and is intended to become a transition form used by all preschools in the county (see draft here). The meeting also included a proposal to re-constitute the Early Childhood Think Tank as an umbrella governance organization in the county, overseeing not only the Pittsfield Promise but also similar efforts currently being seeded throughout the county. Doug McNally of the Berkshire Readiness Center concluded the meeting by announcing high participation rates by preschool teachers in recent early childhood development classes and sharing dates for future professional development opportunities. Strengthen the infrastructure of Berkshire Priorities to drive achievement of the Pittsfield Promise. Create strong community awareness of the importance of literacy as pursued by Pittsfield Promise. Create collaborative partnerships to align, integrate and leverage community resources to achieve the common goal of the Pittsfield Promise – by 2020, 90% of Pittsfield students will achieve reading proficiency as demonstrated by third grade standardized tests. Leverage direct and indirect community resources to advance early childhood literacy. Engage and connect parents, families, and other caregivers to opportunities to infuse literacy and inclusion in their everyday life. The Pittsfield Promise has designed structures and mechanisms to implement these strategies in a coordinated fashion. The community has established six committees, staffed and coordinated by the Berkshire United Way (currently with support from the EEC grant). These committees play a critical role knitting together numerous agencies, community leaders and volunteers, including the Berkshire Readiness Center, the Berkshire Health systems, early childhood providers, libraries, museums, the mayor’s office, and so on. Sue Doucette, the early childhood coordinator for the Pittsfield Public Schools, sits on several of the preschool committees and working groups and supports alignment between the community-based providers and the public schools. Pittsfield Promise has begun working with two of the elementary schools in Pittsfield, but alignment efforts with the public schools have been hampered by leadership instability in the district (four superintendents in four years) and labor-management tensions. 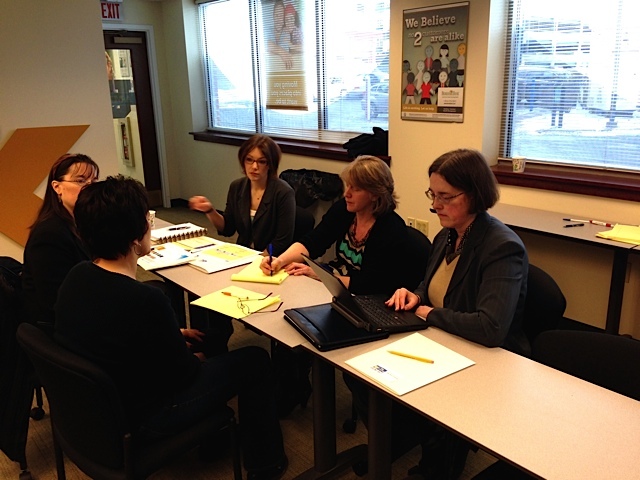 Importantly, Berkshire United Way’s Karen Vogel attends all of the Pittsfield Promise committee meetings and thus is able to update each on the progress of the others and make connections across their various spheres of work. The exact structure of these committees is evolving as the community tries to streamline and mesh their work. The following list is likely to change but nonetheless serves to indicate how Berkshire County/Pittsfield Promise has initially structured its work: Family Engagement, Communications, Staff Enrichment, Data and Inventory, PK – 12 Alignment (which includes a focus on PreK and K assessments and transitions), and Out of School Time. The Pittsfield Promise represents a deliberate decision made in 2011 to begin with a focus on Pittsfield and then expand outward to include the whole county. The anticipated move toward an all-county scope has begun in recent months, and the January proposal to reconfigure the Think Tank as a county organization mentioned above has been accepted. The county-wide umbrella governance group is now called the Early Childhood Literacy Impact Council. Berkshire United Way’s Kris Hazzard talking with board member and Early Childhood Impact Council co-chair, Michael Barberi. A common theme emerging across the five Birth-Third Alignment Partnerships in Massachusetts revolves around the need to set priorities, a challenging task given the breadth of potential Birth-Third improvement activities. Partnerships need to develop focused strategies that can be feasibly implemented, that will lead to demonstrable impacts, and ideally that build momentum for continued commitment and investment. As relatively new or newly-convened partnerships, Somerville and Springfield spent the first months of their EEC grant determining promising strategies that could be implemented given the scope of the two-year grant and with the available resources. While Berkshire County’s partnership, given its history, already had a plan and a set of initial activities in place, its leaders felt the need to (re)assess priorities in year two to ensure the Birth-Third work is having the greatest possible impact. According to Berkshire United Way president Kris Hazzard, Berkshire Priorities’ re-assessment, as mentioned above, has been influenced through its participation in a five-city network convened by early childhood advocacy organization Strategies for Children. This network was formed in the aftermath of the National Civic League’s All-America Grade-Level Reading award in 2012. Five Massachusetts cities applied for and attended the awards event: Boston, Holyoke, Pittsfield, Springfield, and Worcester. While at the event in Denver the communities decided to form a network, which the advocacy group Strategies for Children has convened and supported. Over the past year this network has worked with Harvard professor Nonie Lesaux, author of the influential report, Turning the Page: Refocusing Massachusetts for Reading Success. As a result of this collaboration, the Pittsfield Promise is moving towards placing relatively more emphasis on activities that are delivered at sufficient dosage to improve child outcomes in significant ways. The idea is to devote relatively more time and attention to expanding home visiting programs and increasing participation in quality preschool programs (while continuing efforts to deepen the involvement of the public schools in the Birth-Third work). Beginning with a focus on the city of Pittsfield, Berkshire Priorities has set an ambitious goal and mobilized its community around this goal through an interlocking network of community groups, committees, and working groups. Berkshire United Way’s current strategy is to expand beyond Pittsfield, continue engaging community members around early literacy, and push for increased access to high-impact (and relatively expensive) home-visiting and preschool services. The next post on Berkshire Priorities and Pittsfield Promise will explore how the county has built its commitment to third-grade literacy and how Berkshire United Way is supporting this work through two approaches to community change: asset-based community development and results-based accountability. Incoming superintendent Jason McCandless has expressed interest in making early childhood education a strategic priority.